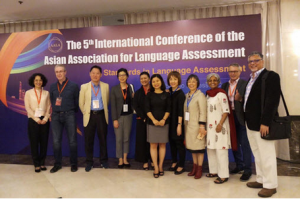 From October 18th to 22nd, 2018, ULIS-VNU’s delegation led by Vice President Lam Quang Dong had participated in the 5th international Conference of the Asian Association for Language assessment (AALA 2018) and the 21st Academic Forum on English Language Testing in Asia (AFELTA 2018) in Shanghai (China). 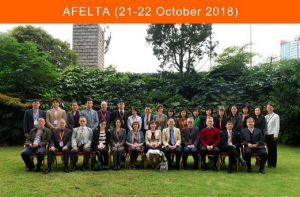 AALA and AFELTA are held annually with the purpose of boosting and strengthening the quality of activities in relation to the foreign language assessment; informing achievements and sharing ground breaking perspectives in assessment research of countries in Asia; strengthening operation activities between members with one another. This year, the themes of the two events were ‘Standards in Language Assessment’ and ‘Technology for Language Assessment’ respectively. 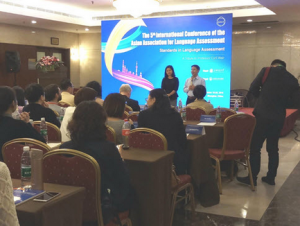 At the two events, the delegation of ULIS delivered 4 presentations to keep others informed of the research findings of English assessment activity in Vietnam, namely: standardizing the Computerized Version of the Vietnamese Standardized Tests of English Proficiency – Vstep.3-5; an Investigation into the Validity of the Cut Scores of the VSTEP.3-5 Listening Test; computerization of the Vietnamese Standardized Test Of English Proficiency (VSTEP) – Opportunities and Challenges; Developing Standards for Assessments at an EMI Course – to Make What is Taken for Granted Come True. All of the presentations received good reception and great attention from other delegations and researchers in the region. 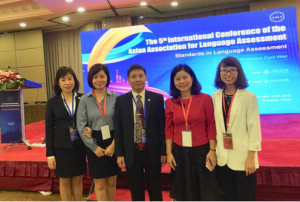 Apart from said purposes above, the delegation of ULIS also took this opportunity seriously so as to learn how to organize such events well as the University is due to organize the 6th international Conference of the Asian Association for Language assessment and the 21st Academic Forum on English Language Testing in Asia in Hanoi in 2019. Delivering his speech at the events, Vice President Lam Quang Dong shared the aims of this trip and informed the plan to organize such events in 2019.